It has been hard, but we have among us the new update of the Spotify application optimized for the iPhone screen 5. For over a month with the new Apple smartphone developers and they are taking longer than expected to take the step to bring their creations to the wide screen of the iPhone 5. During this time we had to use the player with two black horizontal bars, but that is just with version 0.5.8. This is a version that "stretches" what we had before, but that time does not take advantage of the new space. For example, the size of the album art remains as it was before and does not fill the black space background. The upside is that now we can see more songs in playlists without having to slide the screen much. Hopefully other applications like Whatsapp follow the example of Spotify, Twitter and Facebook. 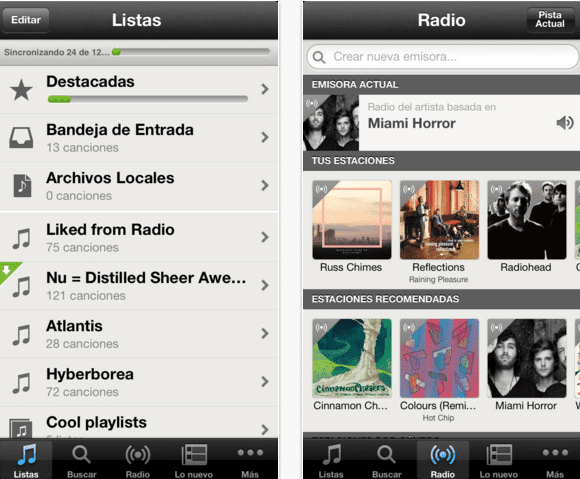 Article Spotify looks new interface for the iPhone 5 has been originally published in News iPhone .